Pinterest is the fastest growing content sharing platform today. Users come to the site to “pin” photos of their interests and share them on the social site. Businesses can create “boards” that allows for the organization of “pins.” Unlike Facebook or Twitter, Pinterest is a highly visual social media site. In less than 4 years, Pinterest has grown to about 70 million users. It is a social media site that every marketer looking for an additional venue to have their products or websites discovered should not miss. Take time to look at how other businesses use Pinterest – brands you admire, and even your competitors. Studying the type of content they pin, the boards they create, how they write their descriptions, etc. 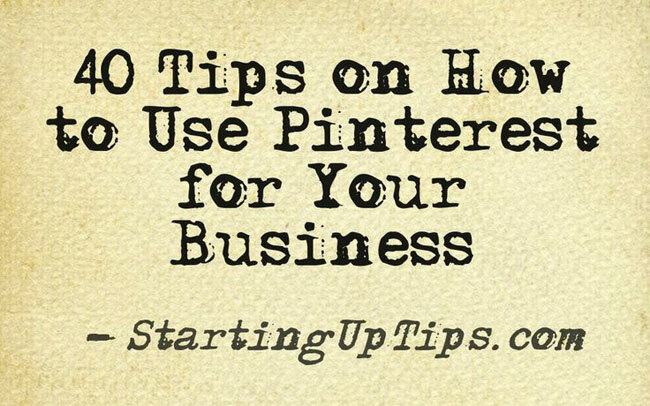 can help you gather ideas on how to successfully do Pinterest. Track how successful you are with Pinterest. Use your web analytics program such as Google Analytics to measure the referrals you get from Pinterest. Consider a marketing campaign revolving Pinterest, such as competitions, giveaways, and other types of contest. Create content that users will love to pin, which includes videos, photos, infographics, even an image made simply of text. Be creative and experiment what type of content best resonates with your audience. Use tools such as Adobe Photoshop or online photo editors such as Picmonkey.com Pinstamatic to create and improve your images. Your pins should not be limited to only your products or your own content. Think KateSpade.com: they create boards on how their products are used and worn by customers in the streets, as well as boards showcasing the lifestyle behind their brand. Experiment on the best size for your pins. Pinterest sets a limit of 554 pixels wide and as much as 5,000 pixels for height. Tall pins such as infographics stand out better in a news feed. Use keyword-rich descriptions to talk about the pin. Write your own original descriptions, instead of merely copying and pasting the description on the site. Be sure to include a call to action in your pin. Put the links both in the Link field as well as in the description itself. If you want the price shown on the pin, add “$” in the description. Don’t pin all at once. Space out your pins to give your followers enough breathing room to catch what you are pinning. Instead of using just plain photos, mix it up and use photos with text. See how the Pinterest users respond. Add a watermark or your domain name in your images. This way, no matter who and where your images are pinned, more people will get to see your brand or domain name (plus it deters others who may just steal the image). Consider using important keywords in your boards; but don’t be afraid of use creative names as well. The name of your board should resonate with your target audience! Keep your boards organized and on focus. If the board is about baby clothes, don’t include toys in there. Create a board for your own stuff; then mix and match your other boards with your stuff and other people’s stuffs. Think of the common questions of your users (e.g. what do they want, what do they like to know, what do they want to achieve) – and then create boards that will answer those questions. You can post your own stuff in the boards, and/or mix-and-match with content from other resources. Engage with your followers, not just re-pining their pins but commenting and liking their pins as well. However, space out your comments as well or Pinterest may think you are a comment autobot and suspend your account. Be sure not to exceed 10 comments a day – 5 will be good. Follow boards and individual users that you find interesting. This will help you gain more followers. Use “@” sign to tag people if you want them to know that you are talking about them. Say “Thank You” to users who posted pins from your website and those who have repined your posts – but do it sparingly or space it out as you might trip the spam alert of Pinterest. Integrate your Pinterest account with other social media platforms and periodically issue calls to action for them to join you on Pinterest. Keep referrals coming from Pinterest engaged when they land on your website. You’ve worked hard to get them come to your site: improve your landing pages so you can convert these Pinterest users into regular visitors and customers.